You can find all these titles and more online right here. This book is perfect for the locavore - anyone that loves a good beer brewed locally at a small, independent brewery. Beginning with a crash course in beer jargon, serving styles, and what to look for when tasting a new brew, this books prepares the reader for their next local beer-tasting adventure. Specifically a look at the Miller family and their brewing legacy, this book is a thorough portrait of the history of Miller Brewing Company. Written by the great-grandson of Miller’s founder, the book charts the Miller family’s involvement in the company since the first batch was brewed. 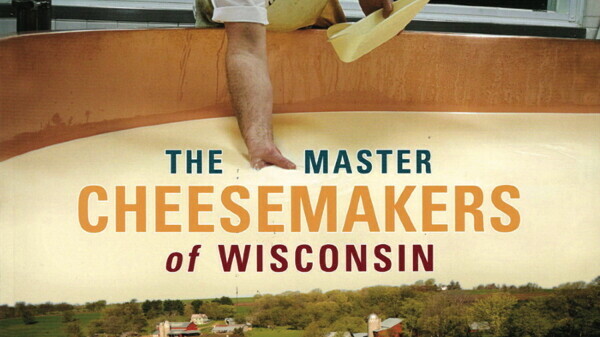 A well-rounded look at the culinary delights Wisconsin has to offer, this book opens with a chapter on cheese factories. Learn where to find them, become familiar with their histories, and decide what to cook up using the cheeses they offer. Part cookbook, part guide to Wisconsin’s enormous selection of cheeses, this book helps the cheese lover pick their cheese of choice and put it in a recipe to satisfy their craving. A general guide on what to do with your weekend, this book also features information about cheese and cheese factories and beer and breweries across Wisconsin. Infuse a little Wisconsin flavor into your next weekend getaway with the help of Classic Wisconsin Weekends.